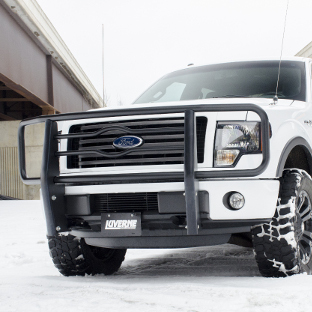 The LUVERNE 2" grille guard is engineered for hard work, giving full-size trucks dependable front-end protection. Each is constructed vehicle-specific for a custom fit, enhanced rigidity, superior protection and a no-nonsense installation. 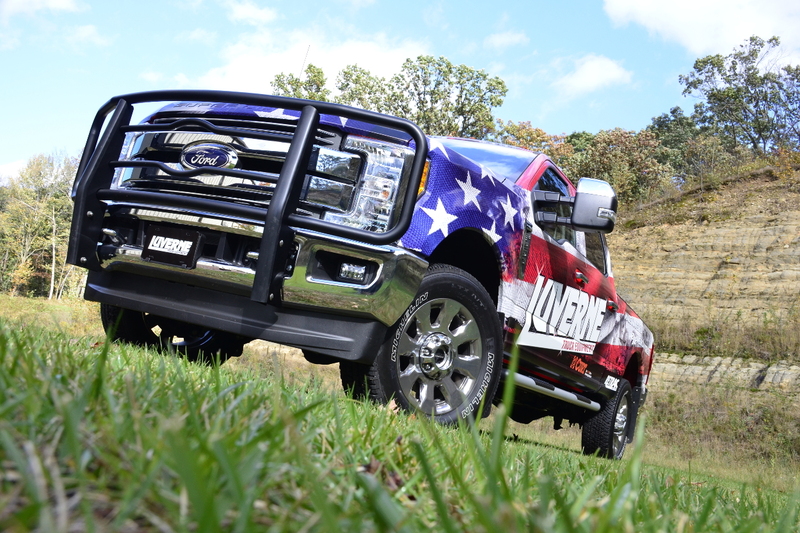 LUVERNE 2" grille guards for trucks are available in two finish options to provide the best match for your vehicle, and each one is made in the USA for quality you can rely on. 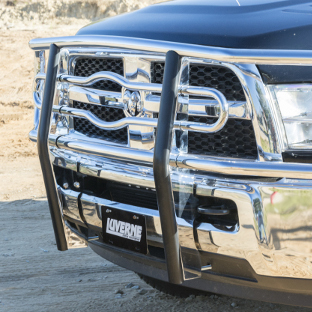 The LUVERNE 2" tubular grille guard is built for work trucks, featuring strong steel tubing, rigid frame-mounted uprights and two professional finish options: chrome and black powder coat. 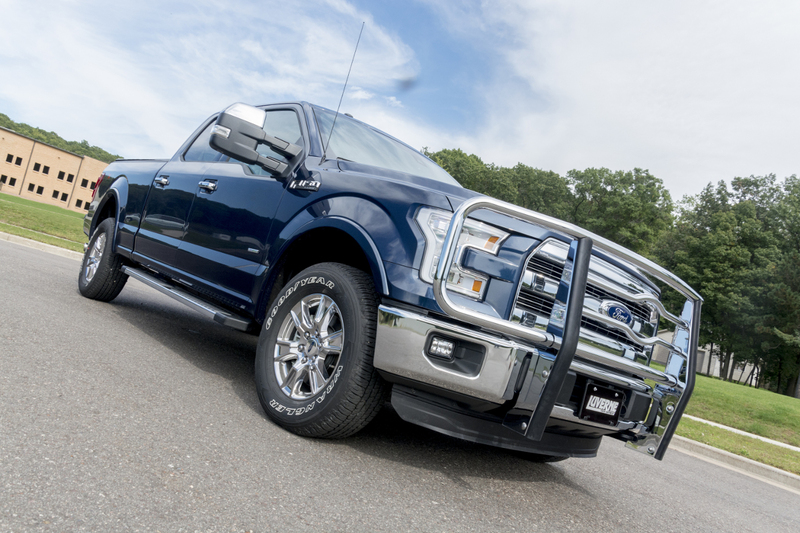 All 2" grille guards are made for a vehicle-specific install, mounting with no drilling or tedious modifications required, and ensuring a seamless integration with the front end. 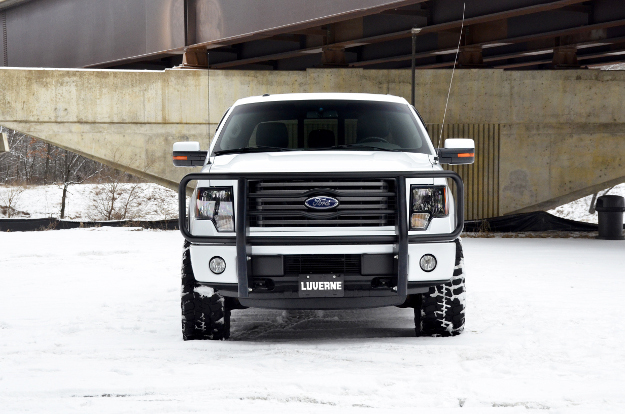 The LUVENRE 2" grille guard has an exclusive design feature that truly makes this accessory all about your truck. The center portion of the brush guard is a set of contoured tubes that frame the vehicle's logo. 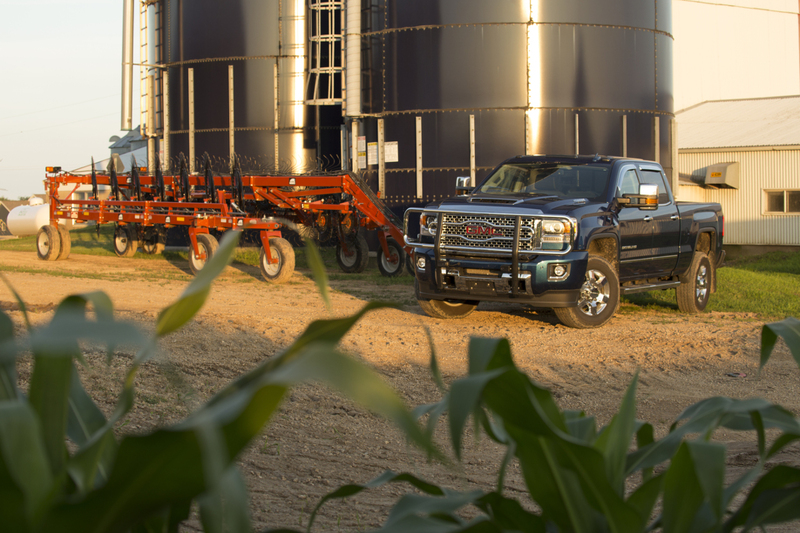 This unique feature not only shows off your truck's badge with pride, but it also adds structural rigidity to the brush guard and helps protect the truck grille against branches, debris and other potential threats on or off the road. 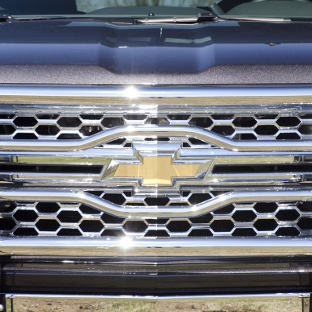 Another unique feature of LUVERNE 2" truck grille guards is their stainless steel backing. 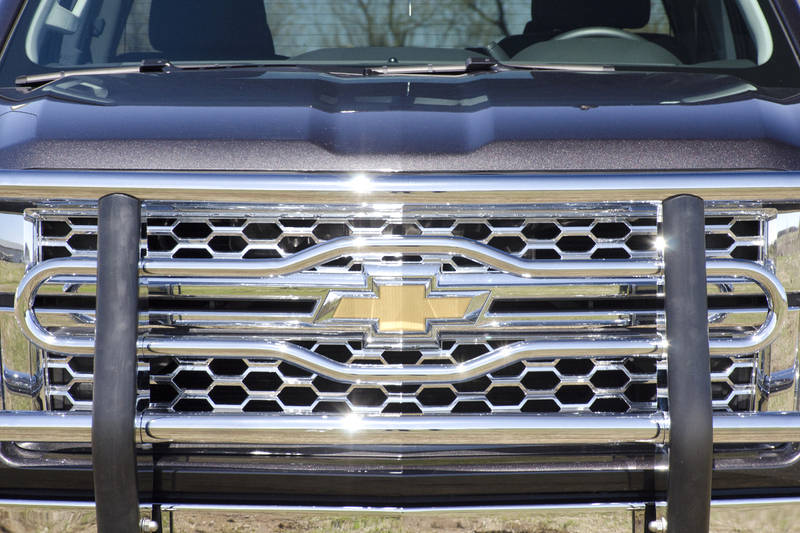 The uprights of the brush guard are covered in a set of stainless steel plates that help protect the frame against the elements and give the grille guard a more complete look. For a professional, long-lasting finish, the stainless steel backing is polished to a mirror-like shine. 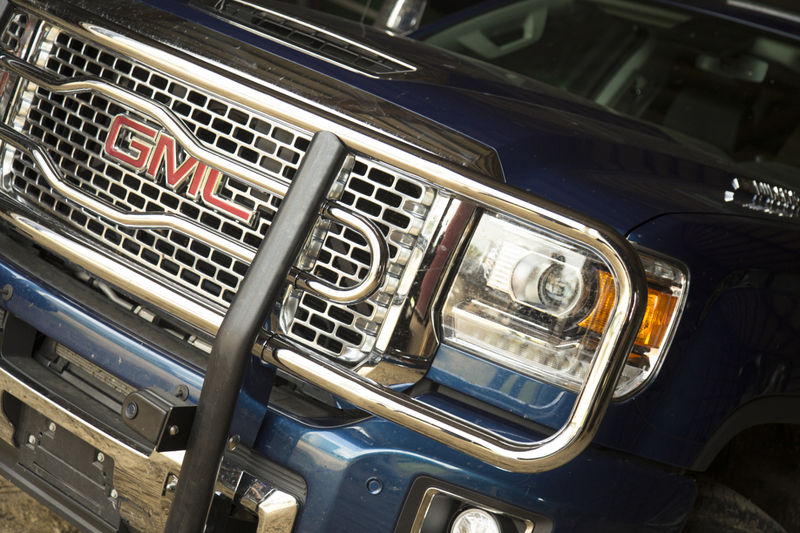 It easily outlasts corrosion and provides a unique accent on the front of your truck. 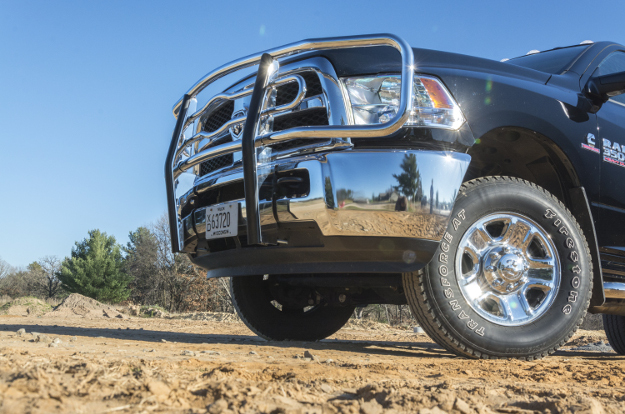 For dependable strength on the job and anywhere the road takes you, LUVERNE 2" grille guards are built with 2" diameter carbon steel tubing. 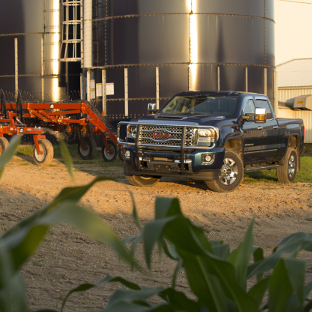 Steel ensures ample strength for extra bumper and grille protection, complementing the power of your full-size truck. We use heavy-duty steel for the ring assembly, side brush guards, uprights and center logo reveal, providing a solid design for tough jobs. 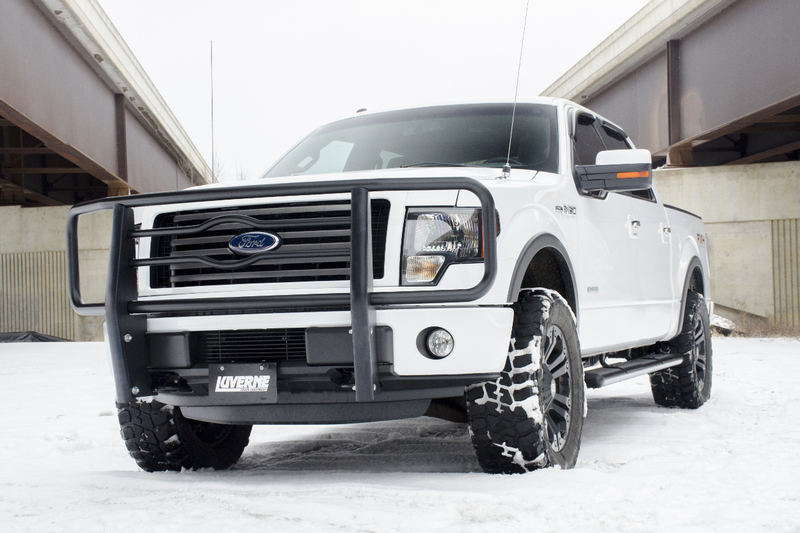 With a full-steel construction, the LUVERNE 2" grille guard for trucks is exceptionally strong. However, it is also engineered to be highly rigid. 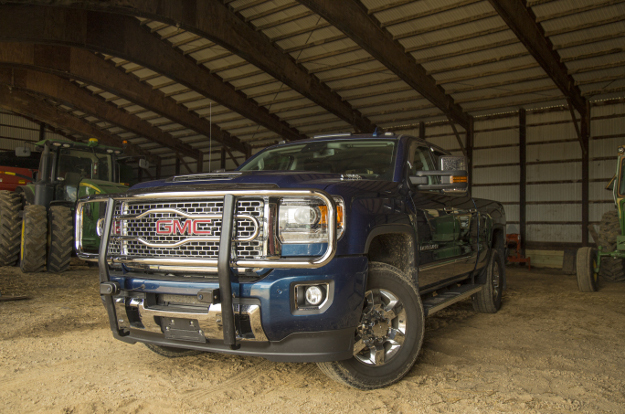 The uprights supply the entire brush guard with its notable strength, and these uprights are mounted onto the frame of the truck to maximize rigidity and resist vibration. 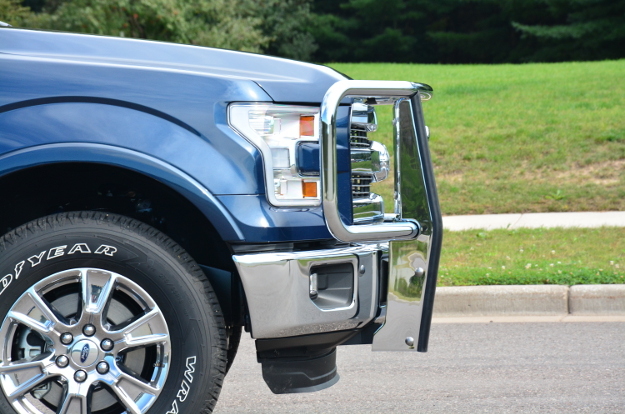 For additional strength, the brackets used to mount the brush guard uprights are constructed from carbon steel. The steel is coated in a durable black powder coat finish for long-lasting rust resistance. 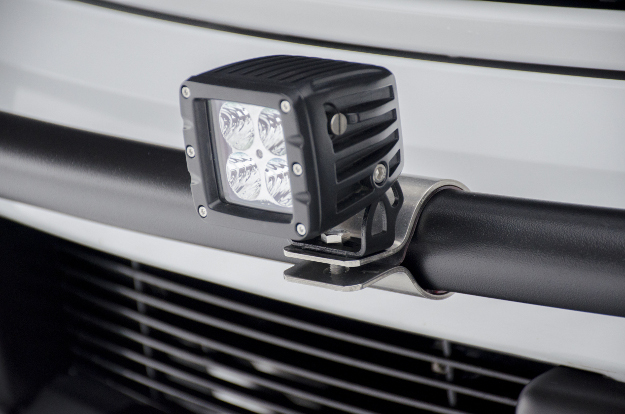 Part of achieving a professional look for your truck or fleet of trucks is attention to detail. We offer two finish options for the 2" tubular grille guard to give you the freedom to select whichever look best complements the style of your vehicle and business. The chrome grille guard offers excellent resistance to the elements and is highly polished for a bright, clean, eye-catching shine. 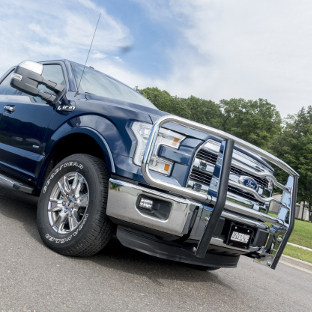 The black grille guard has a textured black powder coat finish and offers maximum rust resistance, providing the truck with a bold, rugged accent. 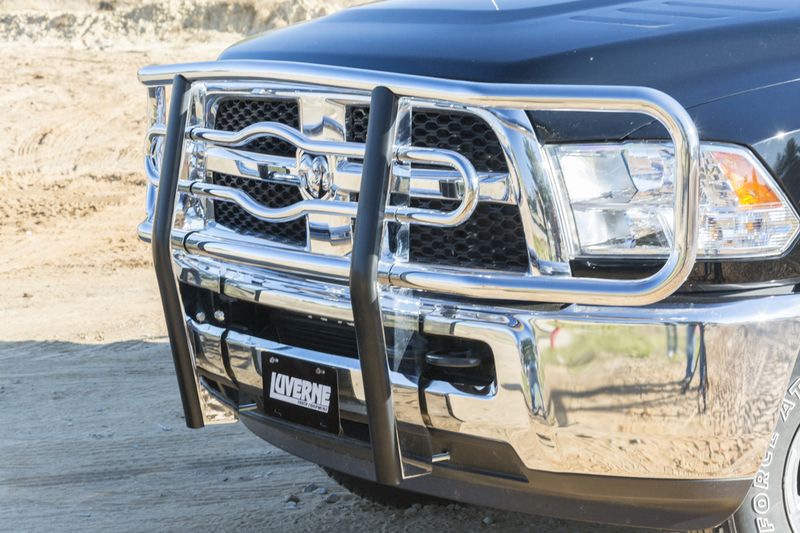 For extra protection and preservation of the finish -- especially on the job -- both finish options of the LUVERNE truck grille guard come with rubber bumpers on the uprights. These vertical rubber extrusions help keep the finish looking like new in spite of scratches and scuffs on the front end. The rubber extrusions are securely bolted into place on the uprights and integrate with the brush guard for a seamless, professional look. 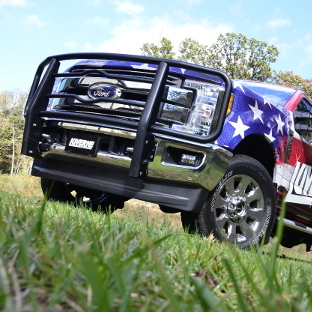 All LUVERNE 2" tubular grille guards for trucks are made vehicle-specific right here in the USA. A vehicle-specific design ensures a custom fit with no drilling into the frame and no difficult vehicle modifications. The brackets are engineered to utilize pre-existing mounting points. 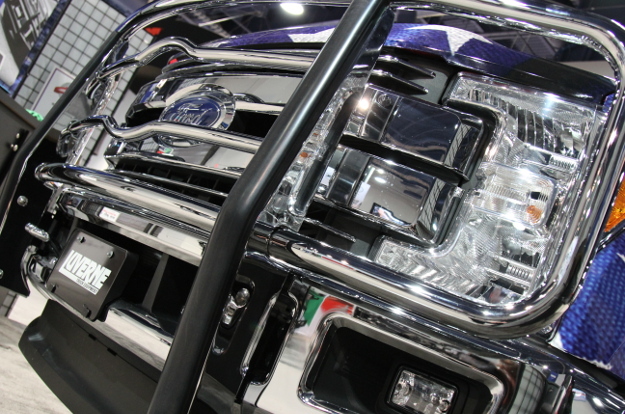 The uprights are tailored to complement each specific truck grille and bumper, and even the brush guard ring assembly is bent and contoured to uniquely accent the truck's grille and headlights. 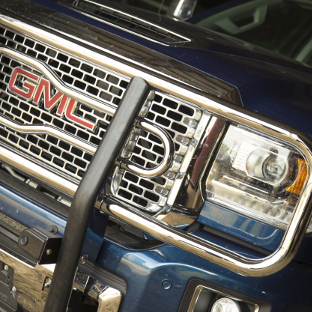 Customizing your truck for the needs of the job is easy with the LUVERNE 2" grille guard. For additional functionality at the jobsite, on the trail or wherever you need it, we offer mounting tabs for LED lights. LUVERNE 2" LED light mounting tabs #390100 install quickly and securely on any 2" tube, and provide a solid mounting point for aftermarket LED lights. They are constructed from stainless steel for long-lasting corrosion resistance, and include two tabs per package. For a selection of high-quality LED work lights and light bars, please visit our fellow brand ARIES.